SQ has its own dedicated check-in areas that has one additional guard checking luggages of passengers. This is perhaps due to their high frequency of flights (up to 9 at last count) departing from Jakarta (CGK) to Singapore. This makes them a convenient airline to take for Indonesians heading overseas. However SQ does not use priority check-in for premium passengers which is a drawback since immigration queues can be long in Jakarta. 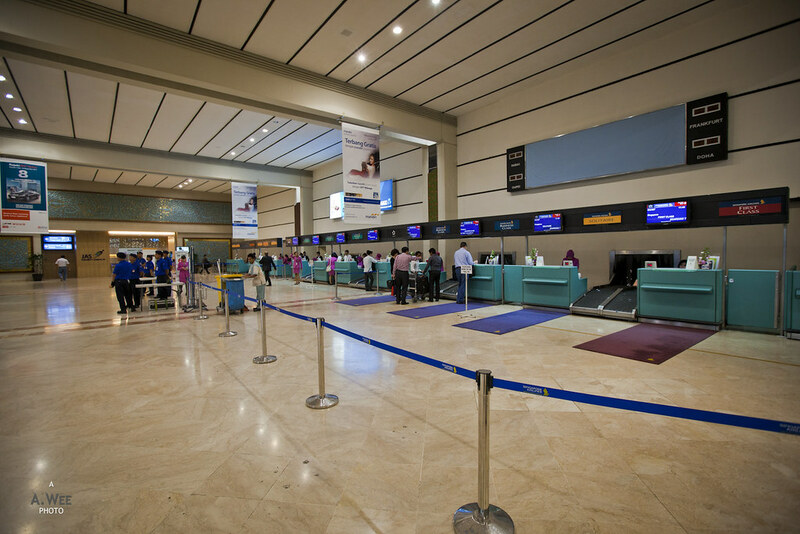 On the other hand, the staff at their check-in counters are very professional and very pleasant to interact with. Check-in for our flight was efficient as there was no wait in the queue. Even in Jakarta, boarding the Airbus A330 is very orderly and is conducted by rows. There was clear communication to passengers and thus no confusion. Boarding via the aero-bridge makes a whole lot of difference when the order is so clearly defined. In addition, Singapore Airlines provides a tray of international newspapers for passengers outside the plane. 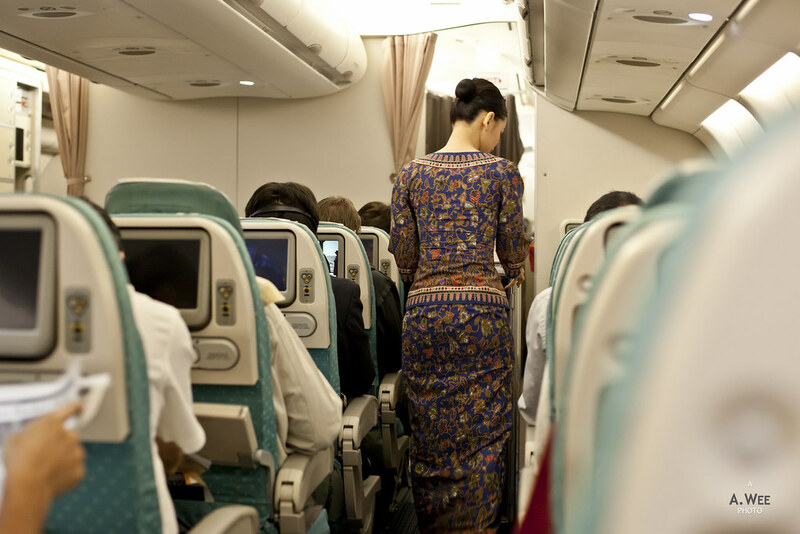 Overall boarding a Singapore Airlines’ flight is always near perfect! Onboard the A330, the Economy class seats are more or less similar to that on the A380. This means new seats with adequate padding and comfortable recline. There was also a footrest on every seat which adds some points though some of their flights are operated by a 777 in regional configuration which has smaller personal TV on the older generation seats. The seats are upholstered in a mix of beige and green colours and they are usually kept very clean. Legroom, though, is a bit tight with the footrest lifted up and it makes you wonder about the usefulness of the footrest during take-off and landing when they have to be stowed. For an airline that has Book-the-Cook on Business Class, they are pretty good in terms of catering on Economy Class as well. While I had some nasty surprises before on SQ, the portions of food and presentation of the catering is usually very well done. In this flight, I chose the pasta which was very tasty, and this is coming from someone who is not a big fan of tomato-based pasta. Served alongside the main course was a delicious chocolate cake. 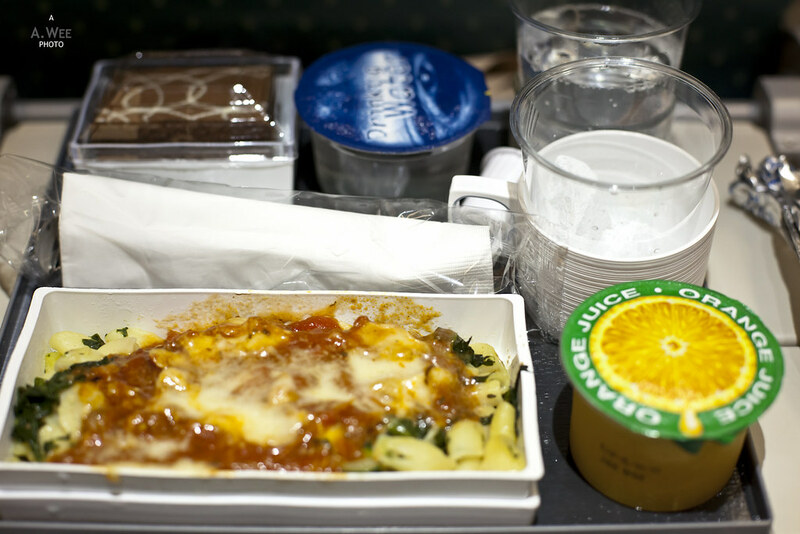 On the tray was a sealed cup of orange juice and mineral water while the cabin crew still offered soft drinks and alcohol. Thus SQ is pretty generous in terms of catering for this short 1.5 hour flight. It shows their commitment to premium catering! This is another clear win for Singapore Airlines. 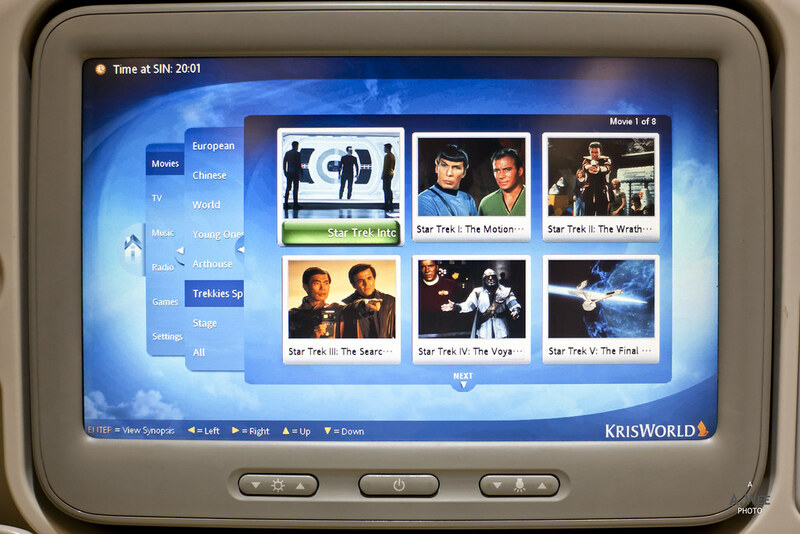 For an airline that pioneered inflight entertainment, it is indeed difficult to go wrong. They have one of the widest categories of movies, TV shows and games that will keep passengers occupied up to hours and with the new larger screen on the A330, I was a happy flyer! My history of flights onboard Singapore Airlines means I did experience some inconsistencies in terms of service. They have some of the friendliest flight attendant but also some of the most indifferent cabin crew ever. The cabin crew serving this particular flight is perhaps in the middle of the lot. They are not particularly friendly or approachable but they were efficient and they did offer help to passengers during boarding. The cabin crew also made rounds before landing to ensure everyone’s safety and collect any trash since they do offer coffee or tea after the meal as well. The usual SQ service on Economy class is also commendable with offers of hot towels, headphones and blankets. All these amenities make the flight as comfortable as possible. With a relatively new fleet, Singapore Airlines has a very clean cabin and this creates for a wonderful ambience during boarding or landing. The carpets in the aircraft was also well maintained and the colour choices for the cabin gives it an elegant and airy feel. One thing that stood out in this flight was during the take-off and landing. I noticed that when the cabin lights were dimmed, those who were reading something had their reading lights turned on for them. Not sure if there was a sensor or it was the cabin crew taking note of these little details. But in this flight like many others, it just is a pleasure to step onboard and fly with them even in Economy class. With a nearly perfect score in many areas, even the full flight that day made for a comfortable journey. Somehow I find Singapore Airlines provide a truly great way to fly and it is amazing how they have maintained this premium level of service amidst the cutbacks in the airline industry.